...is a group of people who have become friends through a shared interest in the challenges and rewards of photography. If you share this interest in recording the scenes and happenings of our world with a camera, you are invited to join us. The Mount Baker Camera Club was organized in 1959 in Mount Vernon, Washington. The group has met continually since its inception, and still has one of the charter members active in the group. Some of the members have enjoyed photography for many years, using film and SLR cameras for slides and prints. Some of the members are newer to photography. All enjoy making photos, and everyone is now using or learning to use digital cameras, and the fun of computer enhancement and creative manipulation. 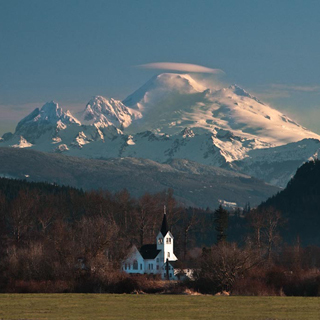 The Mount Baker Camera Club meets once a month, on the third Friday of the month, from September through May. Meetings are held at the library in Burlington, beginning at 7:00 PM. Meetings include viewing the members photo work, with a 'kind kritique' evaluation and judging, as a learning tool for recognizing good work and learning improved techniques. For more information about these events, please see the newsletters.